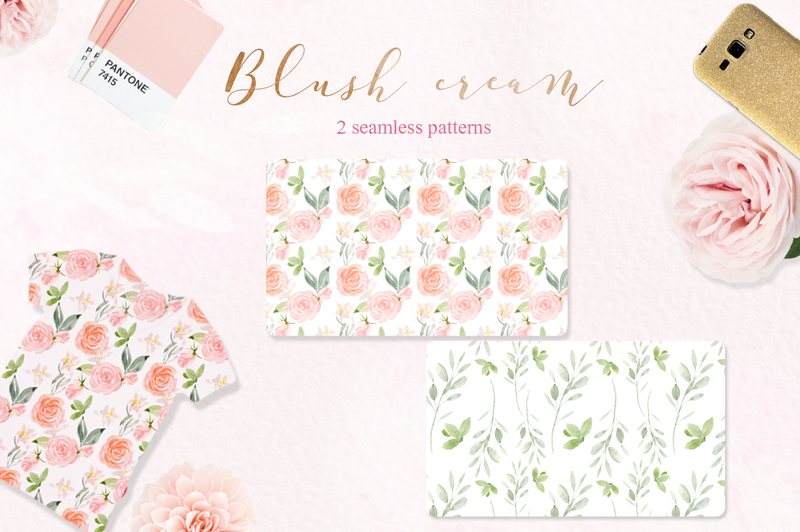 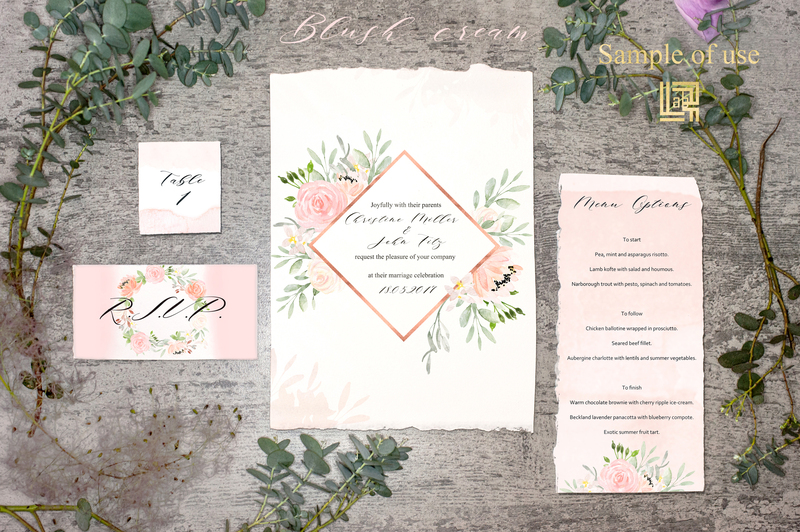 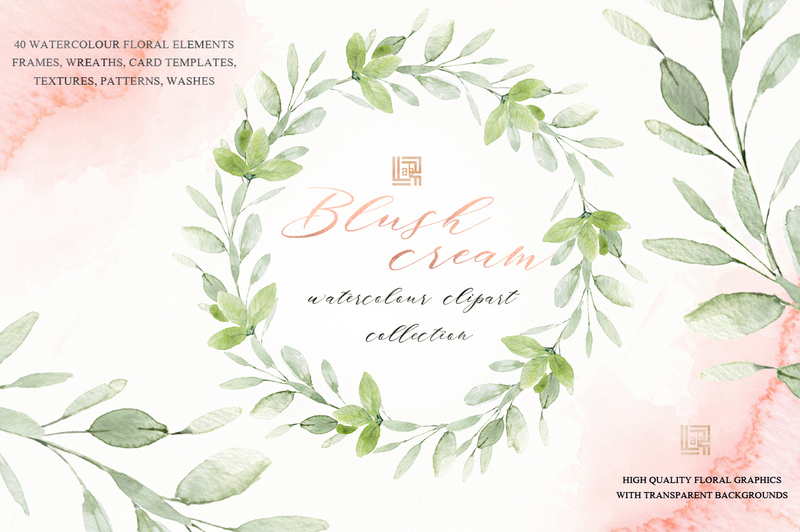 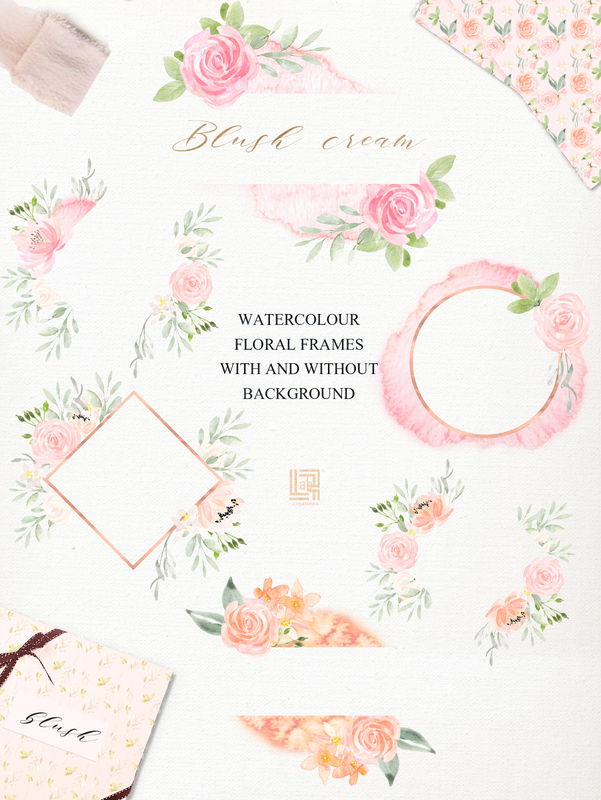 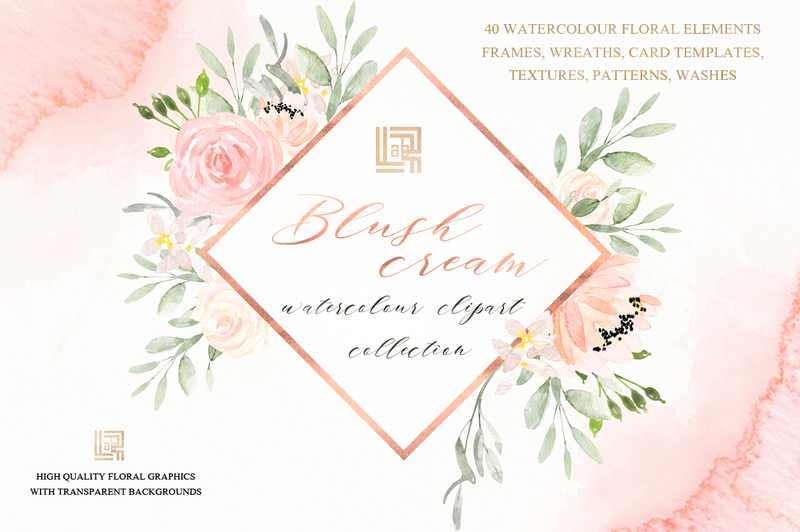 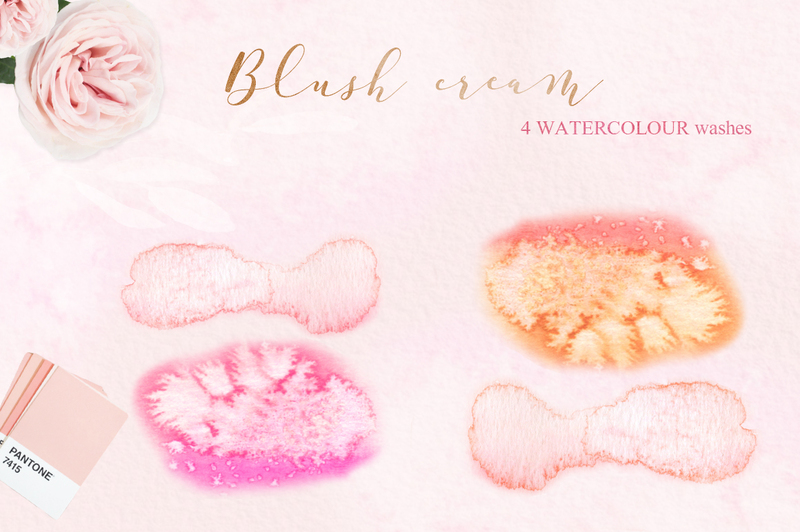 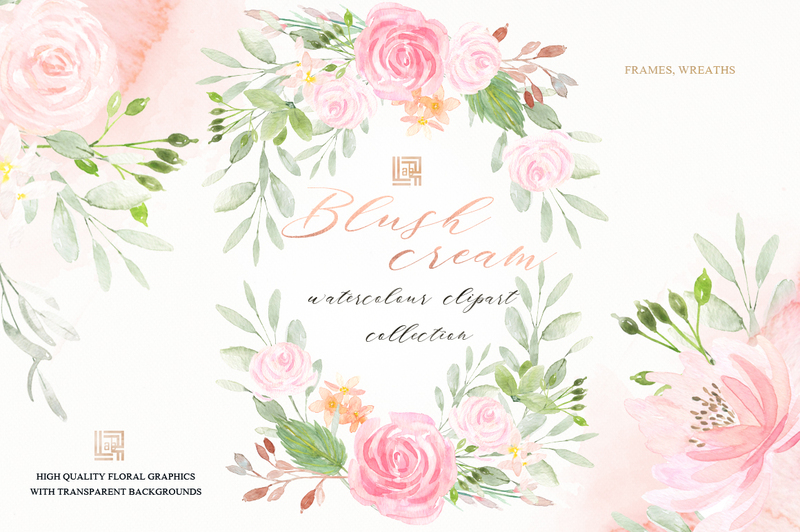 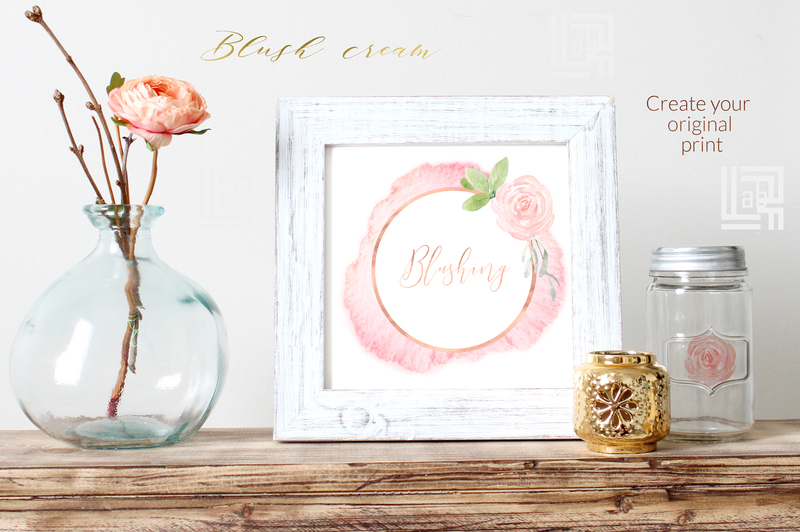 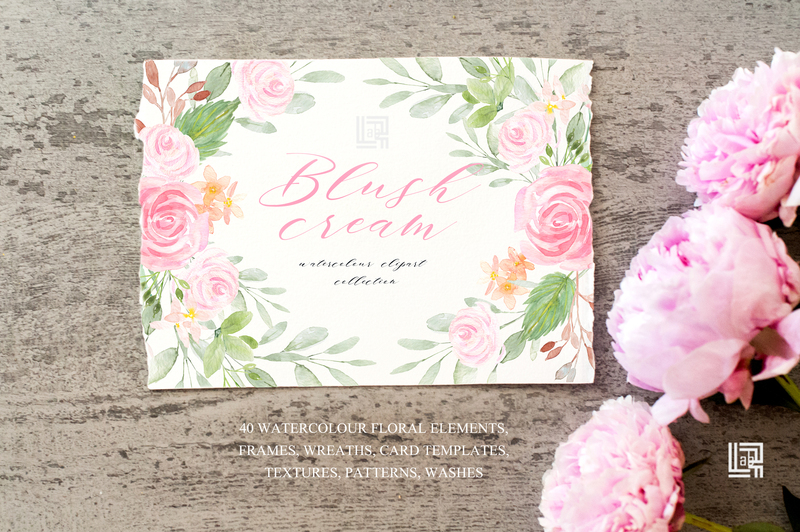 Blush Cream Watercolor Flowers Clipart is hand drawn with soft blush pink and peach colors. 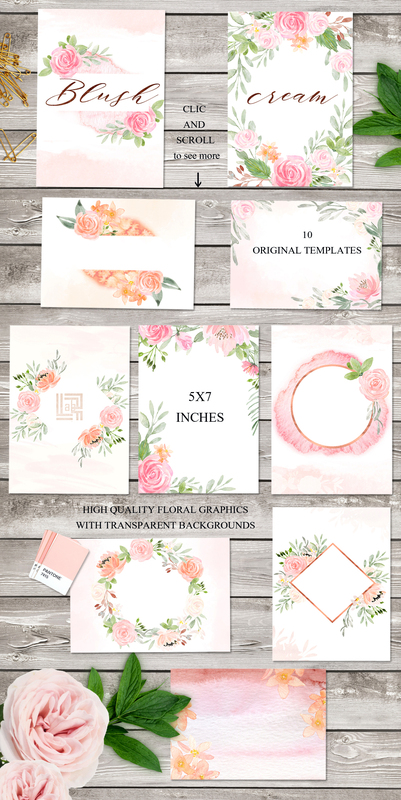 This is a beautifully soft and romantic hand drawn floral watercolor clip art, are ideal for creating card template designs, for your logo, on your blog, invitations, digital projects, sites, scrapbooking, wedding invitations etc. 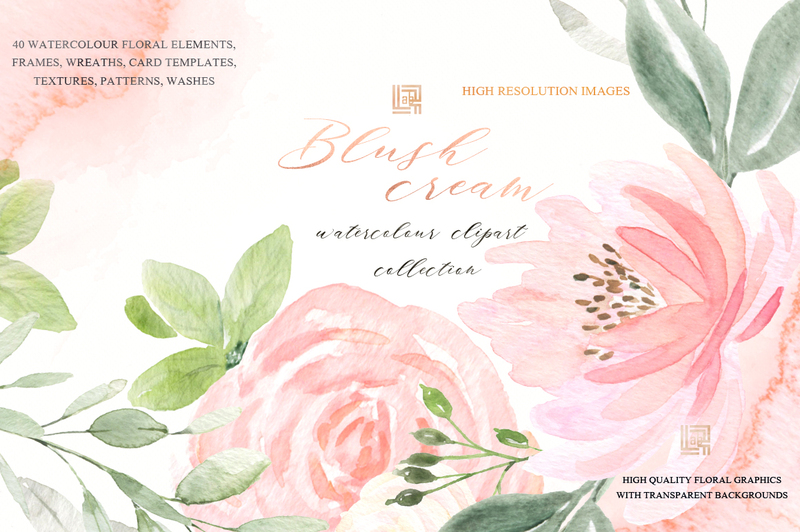 Sizes can be manipulated in editing software such as Photoshop or an online editor. 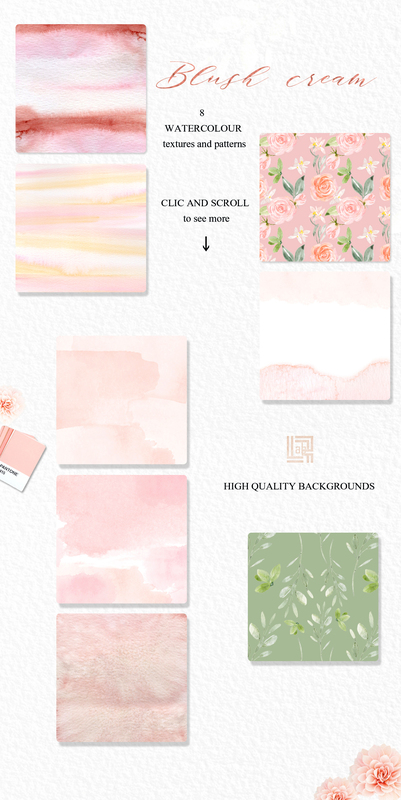 • 96 files in total. 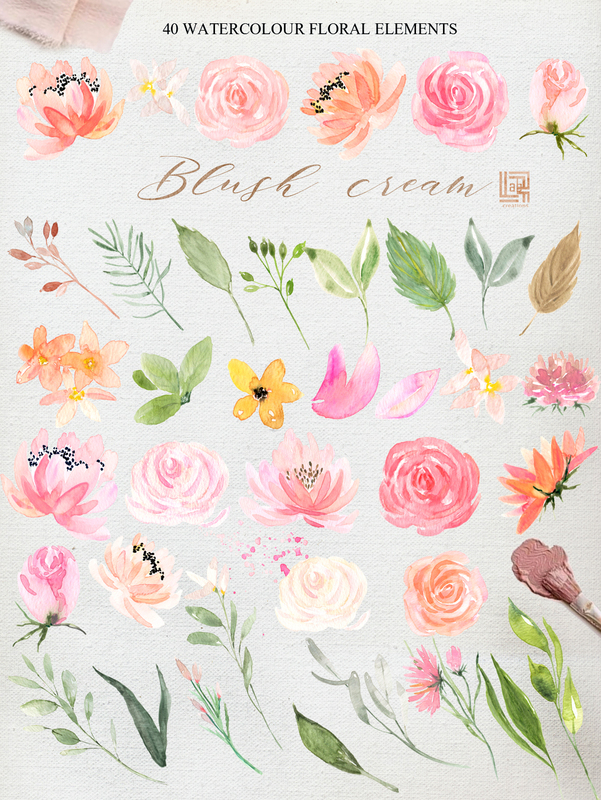 • 40 .PNG with original watercolor floral elements, all with a transparent background. 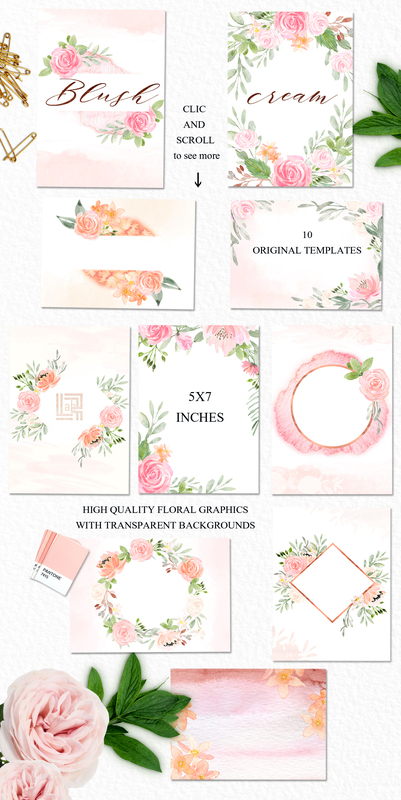 • 2 .PNG with floral seamless patterns with size 3600px 3600 px.